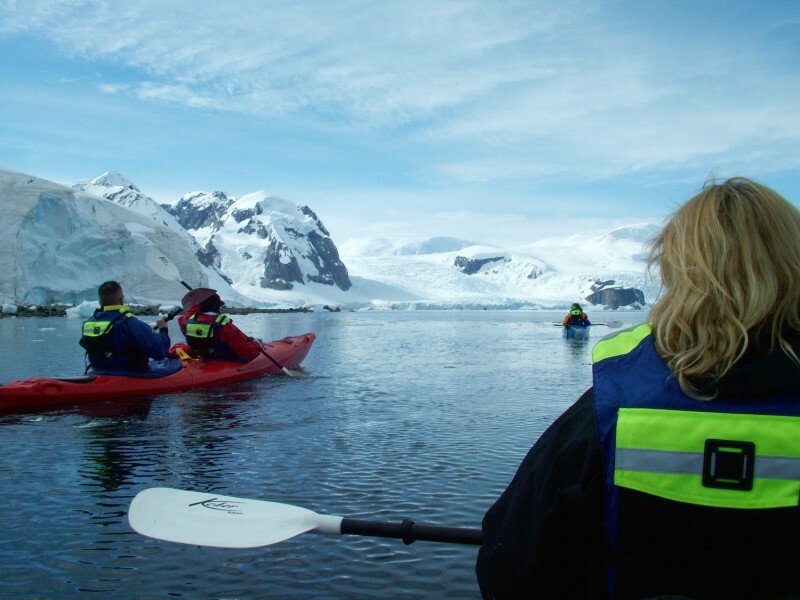 Kayaking is one of the most amazing ways to explore the remote Arctic and Antarctic coastlines. Kayakers accompanied by a kayak guide have the opportunity to go off the beaten track. Paddling between icebergs or pack ice, observing animals in their natural environment, the only sound you hear is water dripping from the paddles. 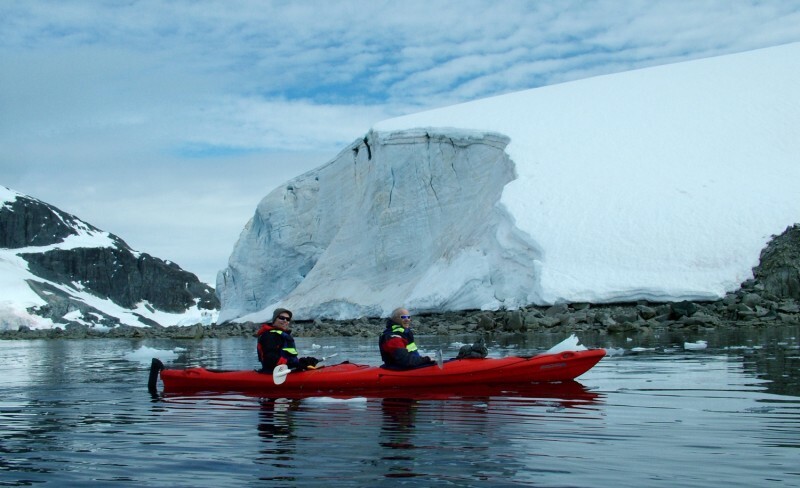 Kayaking in polar areas adds greatly to the experience of being in an unspoiled wilderness.On some voyages optional kayak excursions are offered in addition to the normal expedition program. 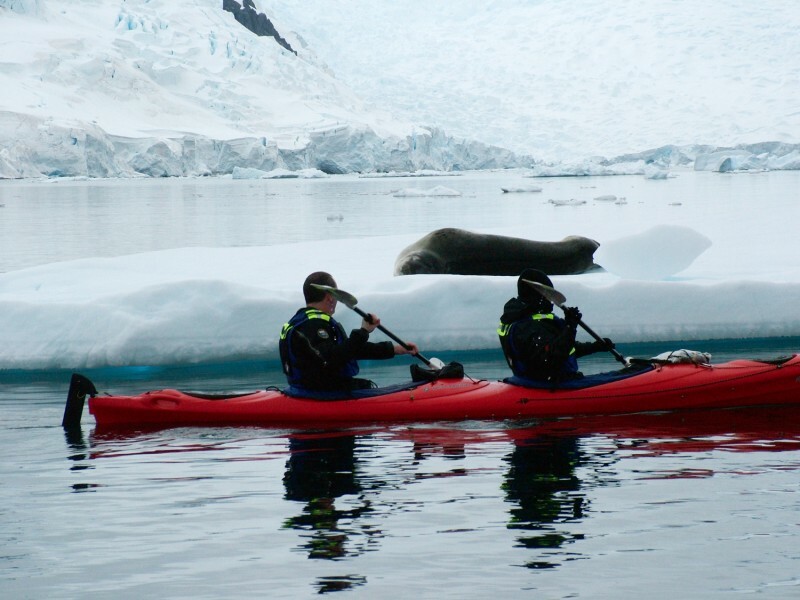 On every cruise with a kayak option we hope to schedule a minimum of 4 kayak excursions. However, it must be said that the Polar Regions are unpredictable when it comes to the weather. This might lead to less or even no kayak excursions as kayaking can and will only take place in safe weather conditions. Under no circumstances will the safety limits be compromised! All kayak excursions will take place within a safe distance from the ship, and at all times a zodiac will be on standby. The kayaks used are stable single seat and double seat sea kayaks. A total of 14 passengers can join a kayak trip, depending on the number of guides involved and the kayak skills of the participants. Kayaking will be exercised as a group activity. At least one kayak guide will lead the group and a zodiac will follow for assistance. Kayak excursions normally last three to four hours. The objective is wildlife, scenery, icebergs, etc. Chances of meeting wildlife while paddling are high. Basic kayak experience is required. 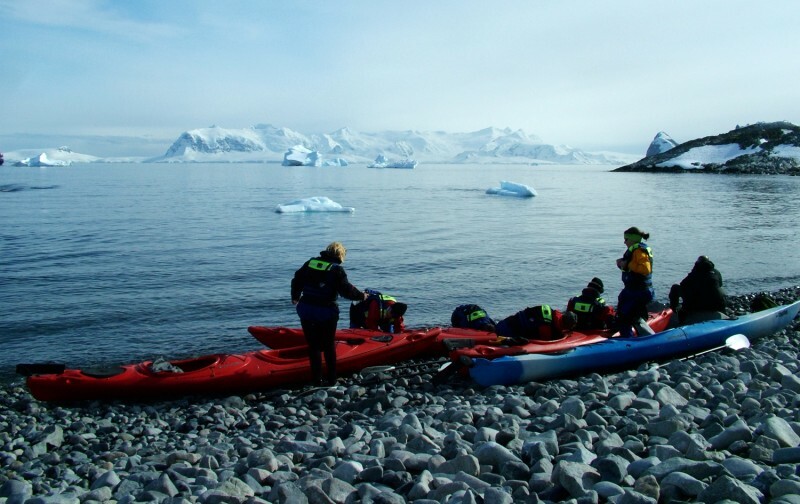 To take part in the kayak excursions passengers are required to have sufficient physical fitness and prior basic sea kayak experience would be helpful. It must be clear that kayaking in polar areas involves some potential risks, especially hypothermia because of the very cold water. These trips are not suitable for beginners. "Eskimo" rolls, but you have to feel comfortable in a sea kayak. Kayak participants with a clear lack of these abilities can be disqualified from further kayaking on our kayak excursions because of safety reasons. If you have any questions about the required skills please contact our office.